Today, I had an interesting online debate with a couple of peers of mine from grad school. As you may know, I’m an avid rock climber and have a graduate degree in environmental studies with a focus in environmental education. So while out for a run, I discovered a large glacial erratic big enough to climb on and posted an iPhone photo of the boulder on my personal Facebook page. In the caption, I mentioned that the boulder needed some cleaning, a term climbers use to describe removing debris and sometimes mosses and lichens from the surface of a rock to make it suitable for climbing. What ensued was a lengthy debate of the ethics of rock climbing and bouldering, where two of my grad school classmates (both environmental studies students with a concentration in conservation biology) argued that cleaning a boulder to climb on was selfish and destructive and that climbing in general was an activity detrimental to the environment. We went back and forth a bit, respectfully, and it’s possible that some feelings got hurt. The reason I bring this up is because in our discussion I noticed something very interesting. While my classmates were so quick to critique my mention of cleaning a boulder, they’ve never criticized, critiqued, or even questioned my other actions that take place in nature, and in the whole scheme of things, cleaning a single, easy to find boulder not far from a well used (and heavily impacted) pathway is really low on the scale of things I do with potentially destructive environmental impacts. For years, my main source of income came from nature photography. To make that work, I spent countless hours in the field, interacting very closely, often intimately, with wildlife and natural landscapes. Yet rarely does anyone ever question the impact of me doing so. People don’t ask me if I trampled native plants or disturbed an animal to get a shot. They just ooooh and ahhh at the aesthetically pleasing results of my work and only rarely question the methods I use. I know the general public is unaware of what goes into a nature photograph and potentially how much manipulation, impact, and destruction are a part of the photographic process. Issues like moving branches or rocks, using calls and sounds to mimic other animals in distress, stalking feeding or nesting areas, and attracting wildlife with bait probably don’t occur to most people. But most people probably think little of the impact rock climbers have either, so why should two educated, environmentally minded people worry about my relatively isolated and infrequent climbing impacts while ignoring my photographic ones. [If] I shared a photograph of a loon (which I will at some point soon) I doubt you’d question whether I got too close to the loon and disturbed it, or if I sanitized my boat for milfoil and other organisms that could be transported between waterways and contaminate “pure” ecosystems before plopping my kayak in the water to take that picture. No one has ever asked if I baited the owl in that beautiful snowy owl shot I have that everyone loves (for the record, no I didn’t, but a lot of snowy owl photos you see are from animals that have been lured with the promise of a meal of pet shop feeder mice). You trust me enough to be a responsible and ethical nature photographer (or maybe you just never thought about it). Please trust me to be an ethical climber too. The truth is I try to be responsible in everything I do in the outdoors. I’m not perfect, but I realize that my existence impacts the environment around me every day. When I am hands on in the environment, be it rock climbing or taking photographs, these impacts are more direct. I step on and crush plants! I startle and disturb animals! I make noise and track toxins and species from one location to another. My presence in the environment undoubtably changes it, but I do try to minimize my negative impacts as much as possible. So I look where I step and give wildlife its space when possible. I stick to well worn paths or wander off trail on surfaces that can best handle the pressure of my feet, avoiding the rare or intermittent plants in favor of rocks, bare ground, or hardier, more commonplace species. When photographing animals, I carefully watch their behavior and back off if I sense I am distressing them or making them upset. I leave a trace, but I try to leave as small of a trace as possible or otherwise ensure that the overall impact of my presence is a positive one instead of a negative one. I am aware of my influence on others as well. As a rock climbing instructor and an important person in our local rock climbing community, I know that how I act and behave while climbing or in the outdoors sets an example for other climbers, particularly the young ones who first venture into outdoor climbing under my guidance. 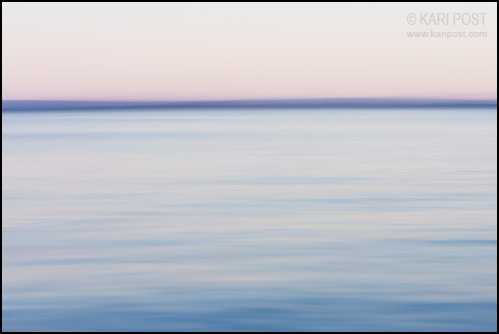 As a photographer who teaches photography and sells my work, I know that my actions model my values and tell others how it is acceptable to behave when photographing nature. I feel it is important to bring awareness to this very issue. 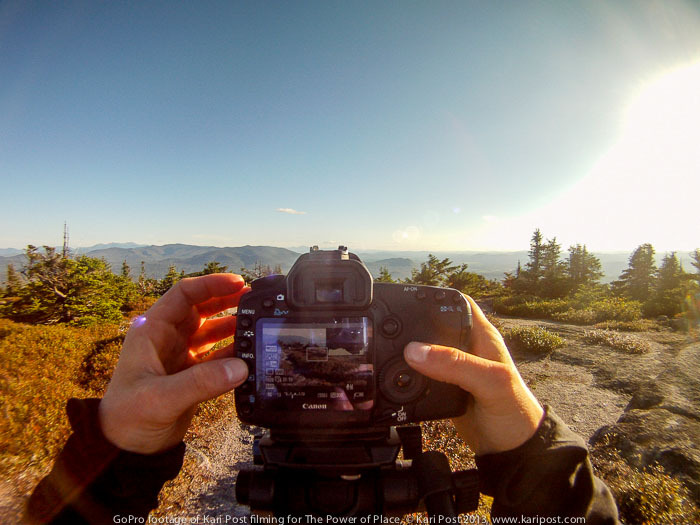 As nature photographers, we (and all outdoor enthusiasts) need to think about what we do, and how and why we are doing it. We do impact the environment, sometimes negatively, sometimes positively, usually both. We also influence each other. Do your actions reflect your beliefs and values? Are they what you hope others would do? When given the chance, are you educating and encouraging others to act responsibly and respectfully? I hope so. As a photographer, I believe in full disclosure (of techniques, not so much of locations). For me a good rule of thumb is if I wouldn’t feel comfortable telling someone how I got a particular shot, then maybe I shouldn’t do it that way. In the past I’ve used bird calls to attract territorial birds during mating season and crossed over fences that clearly said to stay on trail. These days, I’m not so proud of those type of actions, so I avoid them and instead stick to more natural settings and following posted signs and warnings. I’m more aware of my actions now and the potential consequences of them. Occasionally, I mess up. I’m human and inherently flawed by nature, but I try to be virtuous and most importantly, I try to be honest. And I genuinely do care. Call me old fashioned, but I still think there’s value in that. 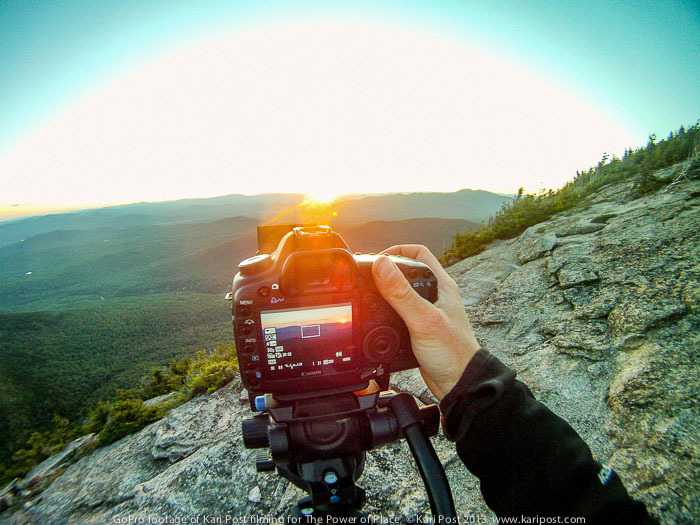 Posted in Adventure, Education, Environment, Philosophical, Photography and tagged bouldering, conservation, environment, ethics, nature photography, responsibility, rock climbing on May 22, 2015 May 22, 2015 by Kari. Jerry Monkman and I have been logging a lot of hours of filming for The Power of Place over the past few months. 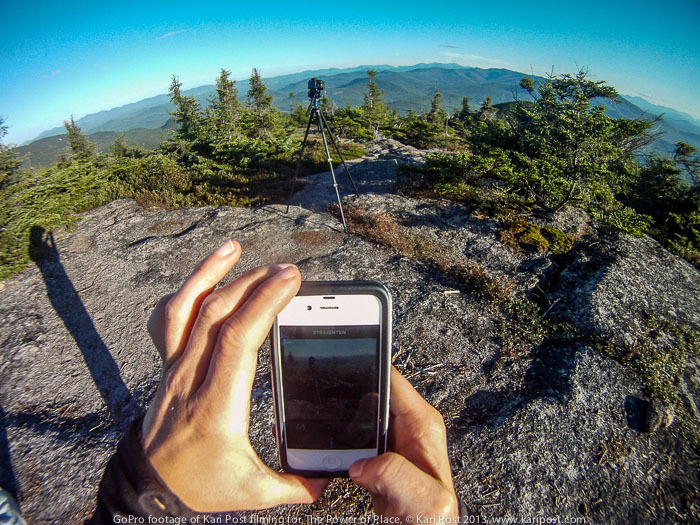 We are working on a documentary about the Northern Pass transmission line project, a proposed high voltage power line that would cut through 180 miles of New Hampshire, impacting some of the state’s most iconic landscapes, including the White Mountain National Forest and Appalachian Trail. So far we have interviewed more than a dozen people and visited and filmed areas all along the proposed route. The process has involved many long days, thousands of miles on each of our cars, terabytes of disk space, and hundreds of emails back and forth, but we are accumulating a ton of good material and both of us feel like this documentary is going to actually turn into something that just might catch people’s attention. Most days after filming I am too tired or too busy to blog about it (although I do tend to post iPhone photos I shoot while out in the field to my Facebook page or to Instagram and Twitter), but I feel really guilty not talking about this project more because 1) working on it has been awesome and 2) not enough people, particularly New Hampshire residents, are well informed about this important issue. 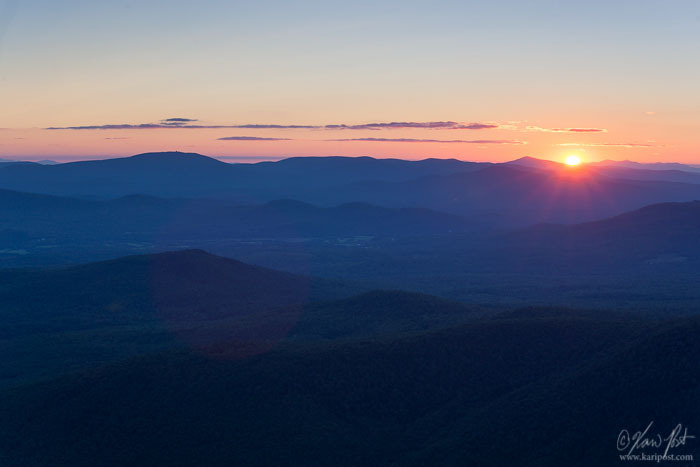 Last night, Jerry and I spent the night atop a mountain under the stars to shoot sunset, sunrise, and the night sky in between. We’ve done this a couple times before by now, and I’d like to say it’s getting easier, but I’m not sure that it is. Even if so, it’s still hard! 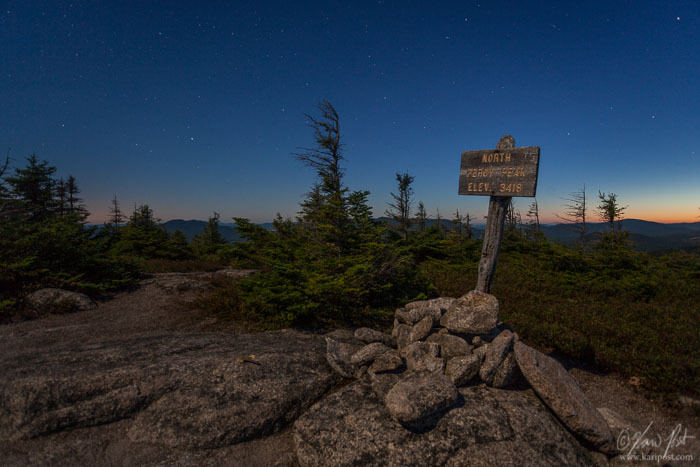 We rarely get much sleep (believe it or not, it is COLD in August in New Hampshire on a bald mountain summit overnight), and we are always lugging a ridiculous amount of hardware up and down steep rocky trails characteristic of New Hampshire. Regardless of how tough the journey might be, it’s always a pretty awesome experience, and we are getting some great footage thanks to our efforts, so it’s been 100% worth it every time. Here is a small glimpse of what we’ve been up to. Jerry and I are both trying not to publish too much material that might make it into the film, but I’ve been taking pictures with my iPhone and even turned on my GoPro yesterday to capture some “behind the scenes” footage of the documentary process. Enjoy these snapshots and be sure to check out The Power of Place page on Jerry’s website to learn more about the project. Should you worry that our documentary is going to contain imagery of similar quality to the shots above, taken with a first generation GoPro, fear not! Despite my snap happy ways I still know how to use a high resolution DSLR and capture images that more accurately reflect how awesome the state of New Hampshire is. Here are a couple sneak peaks of the beauty we experienced last night. These are straight from Lightroom, so the sharpening and fine detail aren’t quite up to my usual standards in these web versions, but I can assure you the RAW files look pretty sweet! Jerry and I are hoping to wrap up the majority of our filming within the next month as hints of autumn are already appearing in the north country and even the swamp maples are starting to turn at lower elevations and latitudes. That means there is a lot to do between now and the end of September, so I probably better get some sleep! 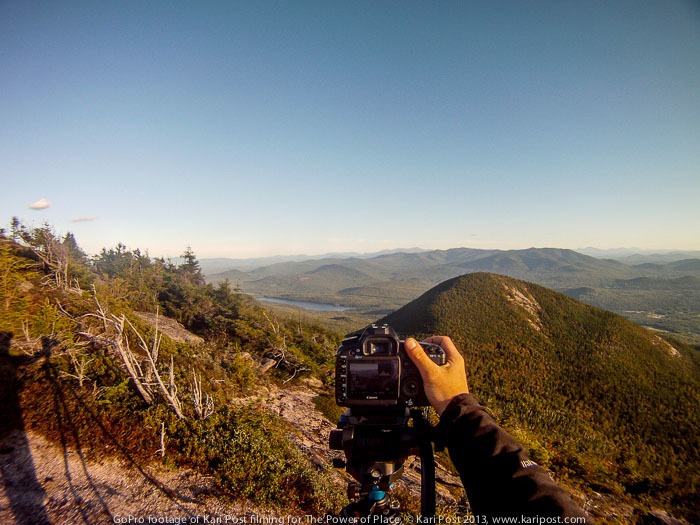 Posted in Environment, Photography, Uncategorized and tagged behind the scenes, documentary, filmmaking, GoPro, Jerry Monkman, Northern Pass, The Power of Place on August 24, 2013 September 18, 2013 by Kari. It’s early, very early and still quite dark. You step carefully and slowly as your weary eyes struggle to adjust to the dim light until you finally manage to find the spot you are looking for. 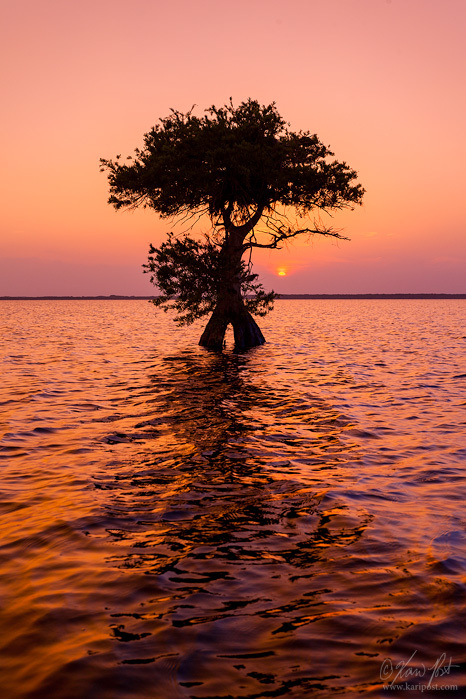 You set up your tripod and camera, find the perfect composition, and adjust your settings, making sure you are ready for the light show that is sure to come. Then you wait for the sun to rise. The morning is calm, the air still save for a gentle breeze that brings the sweet scent of the nearby ocean to your nostrils. You hear the song of gulls crying out through the darkness, over the soothing woosh of the waves, as you lick the salt from your lips. Already, you can feel the stickiness of the air. All of these sensations combined touch something in your spirit. Despite the darkness and how tired you are, there is no place else you’d rather be. And then the peace is broken. From behind you, you hear something, and it is not the call of the gulls or the woosh of the waves or even the pad-footed trot of a murderous feral cat. Instead it is the unwelcome sound of another human being. From here the story can go a number of ways. Despite the trepidation you initially feel in your heart, the newcomer might be just a passerby, or possibly another photographer that stays well out of your way. If you are lucky, which you probably are on most days, the arrival of another person won’t interfere much with your sunrise shoot. But if you aren’t, which happens to most of us at one point or another, your pleasant morning can completely ruined by the intruder. I have been both the first person at a spot and a latecomer, but I have yet to have had a negative interaction with another photographer in the field. I have heard many sorry stories however. 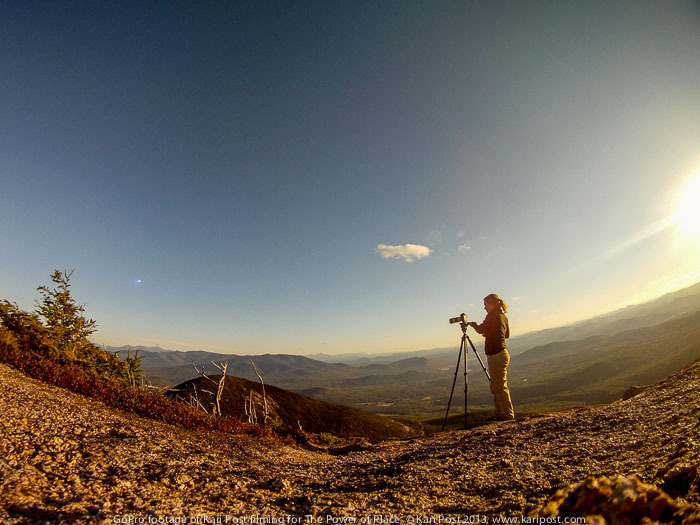 From photographers maliciously bumping one another’s tripods to tour groups crowding single photographers out of tight spots and shouting matches between workshop leaders, the type of behavior shown by some photographers in the field is downright appalling. Childish tantrums and bullying have no place in nature. 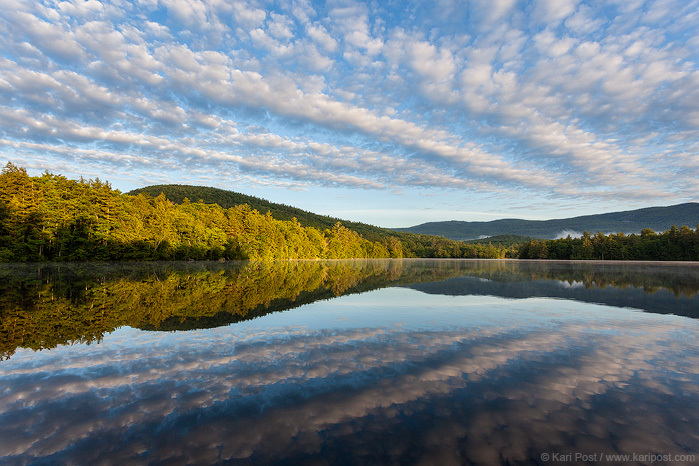 I don’t care whether you are the Kanye West of nature photographers or not, don’t be a jerk. Nature is a sacred place. I’m not religious, but the closest I have ever gotten to feeling a spiritual connection to anything has been when I am out in nature. Screaming hissyfits destroy the sanctity of these most serene and peaceful places. Just a few weeks ago, I was at Sparks Lane, a very popular photo spot in the Great Smoky Mountains National Park. The sun had not yet risen and at least a dozen or so photographers were standing shoulder to shoulder on the narrow dirt road, composing the same shot of trees forming a canopy over the path, waiting for the light to get good. Everything was pretty much fine until a couple with a dog in a beat up rusted out sedan wanted to get through. The photographers parted ways to let the car down the road and then resumed position, only for the car to stop just a short way down the road in a spot that was quite plainly obviously ruining everything! The passengers, oblivious or uncaring to anything other than their own desires, just stayed there, and a few of the photographers in the group started to whistle and yell at them to move. Because I can’t stand hooping and hollering on a peaceful spring morning, I walked down the road towards the car to quietly explain to the passengers that they were in our way, but they drove off right as I reached them. Just a short while later, they came back in the opposite direction and again parked in the road. This time, I got all the way up to the car and very kindly explained the situation to them: photographers had been waiting all morning for this shot – it was a beautiful morning, wasn’t it? – and the light was getting gorgeous. They were in the way, and would they please consider moving? I even invited them to join us and see what a beautiful photograph they could get from our vantage point, and made sure to compliment them on how cute their dog was. While the couple in the car seemed to lack the graces of civilized society, they indeed moved on without a fuss and the photographers were able to get their shots. Instead of having to hear each other shouting and complaining, we listened to turkeys gobble as they strutted in the fields, the toms displaying for their ladies, over the hushed whispers of happy photographers and muted sounds of many camera shutters. In the past, I have met and befriended photographers simply by walking up to them and introducing myself while in the field. 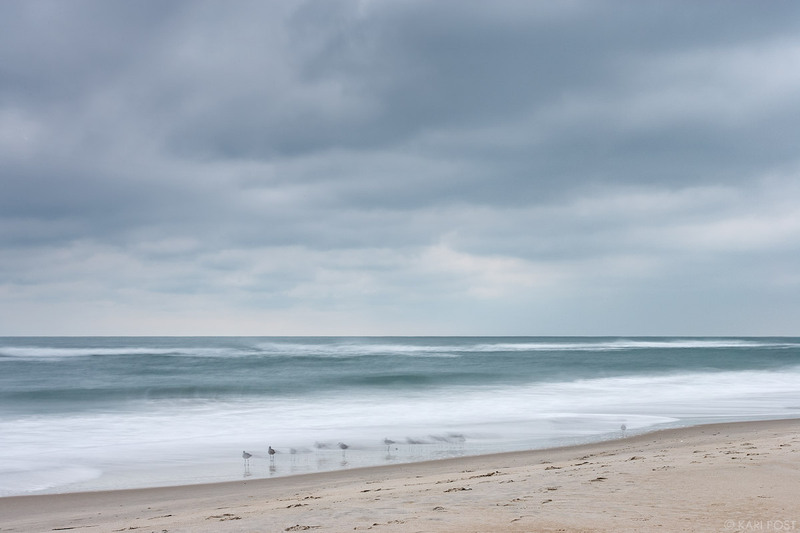 I often go out in nature to be alone, so I hate when another photographer shows up on a day I’ve intended to shoot solo, because then I’m suddenly concerned about them – and whether I’ll get in their way or they’ll get in my way – instead of focused on creating images. The worst is when a big group shows up and it goes from being just me on the beach to me and ten strangers on the beach, all with cameras. I know how awful that feels, and the resentment and frustration that goes along with it. So I’ve resolved this problem by introducing myself to anyone I’m sharing space with and putting the situation out there early. I often say something along the lines of “Hey, I want to get good shots here and I know you do too, so I’ll try to stay out of your way and I’d appreciate if you could do the same for me. I think we can both get the shots we want if we just communicate with each other – that way everyone can be happy.” I do this whether it’s just me or I’m leading a whole group. If I am leading a group, I make it clear to my group that the other photographer has every right to be there as we do, and if the other photographer got there before we did, I make sure they get the priority spot. I’d hate to be somewhere early, all set up, and then have a workshop show up and crowd me out, so I make sure that I don’t do that to anyone else. I’ve heard so many horror stories of photographers setting up right in the way of others, of workshop leaders bullying out other photographers so they and their clients can get the best shots, and of photographers with big egos just doing whatever the heck they please regardless of how it affects anyone or anything else. In some cases, bigger name tour operators have brought groups to areas where local photographers, workshop leaders, and guides have invested their whole careers and think that because of “who they are” they can do whatever they want wherever and whenever they want. They show no respect to the people who really truly know certain areas best, including sometimes their own ground agents. Etiquette, it would seem, has gone right out the door. Nature is not a war zone. It is no place for battle, at least not between egos and a-holes. Let predator and prey clash, not us against ourselves. As photographers and people, I hope we can learn to respect one another and treat each other with kindness. If that is too much to ask, at least respect nature and keep the peace. Posted in Environment, Philosophical, Photography and tagged keep the peace, nature, play nice, respect, sacred place, tours, workshops on May 8, 2013 May 8, 2013 by Kari. There are many reasons why we need nature. Perhaps the one that draws me most often is its ability to bring me to a happy place, to free me my mind from negativity and confusion, and put a smile on my face and a lightness in my heart. When I’m stressed or having a bad day, or just feeling terrible because life seems hard or the world seems kind of rotten, I go out in nature and the smell of the air, sound of the wind and water, and the excited little movements of birds and other lifeforms ease away the pain. Nature doesn’t erase the ugliness of the rest of the world, but it helps restore my own spirit, giving me the strength to face it. Yesterday, some vile person deployed explosives near the end of the Boston Marathon route. Those bombs killed at least three people and injured more than 140 more. Runners and spectators suffered severe injuries, some losing limbs. One of those killed was an eight year old boy. I’m in Florida right now, many miles away from Boston. I feel helpless, as I’m sure I would even if I had been home in New Hampshire, only two hours from the city. Still, it doesn’t make any sense, and down here, even with the tragedy on every television I come across, I feel isolated in my pain. When devastation hits so close to home and touches something you love and that has become a part of you, you feel it differently I think. I was in Back Bay, the area where the explosions occurred, just one month ago visiting friends. I knew runners in the marathon – some were teammates from my college track and field team. The bombings are senseless, cruel, and devastating. This morning, I went for a run around Vilano Beach. I like to run or do some other physical activity every morning because it gets my day off to a good start, and like nature, exercise is therapeutic. Getting outside, in the fresh air, and moving helps clear my head. On my morning run, I saw a pelican and flowers. I watched the sun rise and saw the light of the day turn from blue to gold to white. Sand sparkled on the dunes, and the sweet scent of the salty ocean air mixed with the smells of spring filled my nostrils. There is a flowering vine here called confederate jasmine that I particularly love. Gulls flew overhead, laughing, their white bellies glowing in the morning light, and grackles cackled as they plucked food scraps off the sidewalk and flew them to the tops of nearby palm trees. The world is no better nor no more evil today than it was yesterday or the day before that. During our lifetimes, we will experience a lot of cruelty and suffer many pains. Sometimes the world will seem hopeless and horrible, but it’s not. For each individual that exists with cruelty in their soul and hate in their heart, there are hundreds of thousands more who are filled with love and compassion. Despite the tragedy of yesterday, I think we need to feel hopeful knowing this. I also think we need to embrace what it is we love about the world, be it friends and family, or wild things and open spaces, and be thankful for all that we have, because it really is so so much. If like me, you are struggling to make sense of all this or another misfortune in your life, stop. Go outside. Find nature. Spend some time with her. You’ll feel better when you do. She won’t give you the answers to all your questions, she won’t resurrect the dead, and she won’t erase the bad things that sometimes happen in this world, but she’ll remind you that there are so many good things too. Posted in Environment, Philosophical and tagged Boston Marathon, Boston Marathon bombing, nature, nature therapy, terrorist attack on April 16, 2013 April 16, 2013 by Kari. A Common Loon (Gavia immer) with a sunfish it caught while hunting on a pond in southern New Hampshire. This adult was catching fish to feed its chick. This week, New Hampshire State Bill 89 may make it’s way to the New Hampshire state senate. 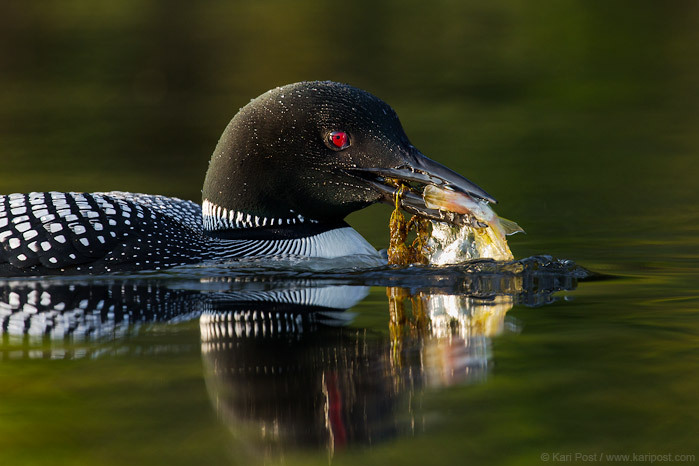 SB-89 is a bill that proposes banning the use and sale of toxic lead fishing tackle weighing one ounce or less, and it’s passage will help protect common loons from lead poisoning. Lead poisoning is the leading known cause of death for loons in the state of New Hampshire. Loons typically consume toxic lead in one of two ways: they either ingest the weights thinking they are pebbles, which they consume to aid in digestion, or they get lead into their system when eating fish that have lead fishing gear attached to them or in their stomachs. Poisoned loons then die a painful, suffering death. Because loons are slow to mature, have small clutch sizes, and expend a huge amount of energy in raising and caring for their chicks, these unnatural deaths have caused decreases in the loon population and continue to threaten the survival of these beautiful birds. I cannot think of a single reason not to vote in support of SB-89 and these increased restrictions; there are a number of viable alternatives to lead that can be used for small sinkers and jigs, and their continued use is irresponsible. 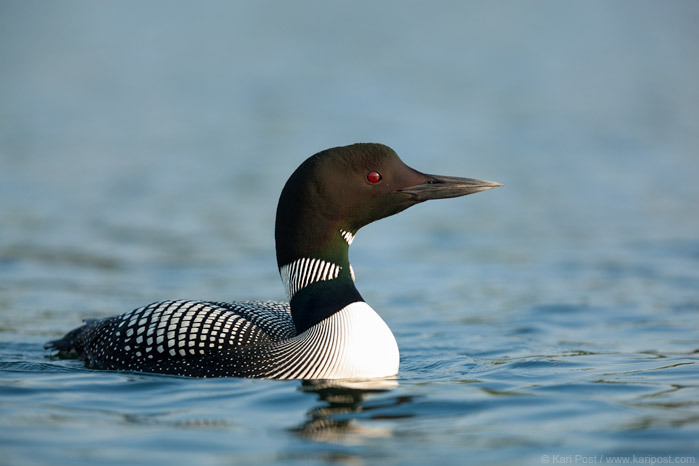 More info about loons, lead poisoning, and SB-89, including what you can do to help, can be found here: http://www.loonbill.org/getinvolved.html. A Common Loon (Gavia immer) in its handsome black and white breeding plumage swims on the calm surface of a pond in southern New Hampshire. The Loon Preservation Committee is a great organization that advocates for the protection of these beautiful birds in New Hampshire. I was able to connect with them last summer and they were helpful in providing me with some information about loons in NH. Unfortunately, I was unable to spend as much time working with them as I wanted, but hope to continue a project to document and advocate for loon conservation in the northeast with their help. For more info, visit http://www.loon.org/. 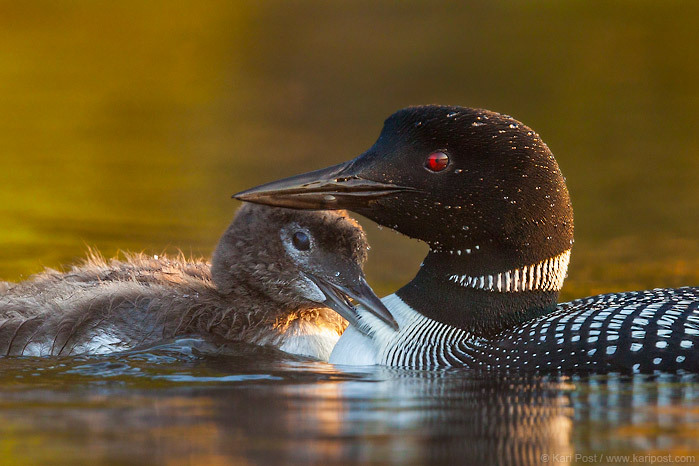 A baby Common Loon (Gavia immer) begs its parent for some food. This youngster is growing up and white and dark gray feathers are starting to replace its mousey gray-brown down. Posted in Environment, Photography, Political and tagged common loon, Gavia immer, lead poisoning, loon, loon mortality, Loon Preservation Committee, New Hampshire, NH, SB-89 on March 12, 2013 March 12, 2013 by Kari. I live in a beautiful restored farmhouse in Chesterfield, New Hampshire, just six miles or so (as the crow flies) from an aging nuclear power plant in Vernon, Vermont. Vermont Yankee, nestled on the banks of the Connecticut River, opened its doors to power production in 1972, and its 40 year contract is set to expire next month. The nuclear reactor has been the subject of much debate; everyone seems to worry about the plant’s future. Many want to see it shut down, citing various environmental and health concerns and also controversial court decisions that some say pit the state against the federal government. Others worry about what will happen if the plant closes, fearing the loss of jobs and increased taxes that will result, as well as other economic and social impacts. The Vermont Yankee nuclear power plant in Vernon, VT has inspired much debate over its 40 years of operation. Many think the plant should be shut down, but some locals worry that the impacts of shutting the plant down would be worse than its continued operation. This weekend, I teamed up with photographers from the Vermont Center for Photography to learn a little bit more about Vernon and the people that live there. We spanned the small rural Vermont town, photographing and interviewing local farmers, business owners, town officials, and activists. Our goal was to tell the story of Vernon, not just Vermont Yankee. As we learned, there is more to the town than one nuclear power plant. We found ourselves so inspired by what we heard, that a couple of the other photographers and I ended up working round-the-clock to piece together a multi-media presentation of our work, and more importantly, their stories. Just 27 hours after we began shooting, we presented a very rough version of at an open forum to discuss Vermont Yankee led by photojournalist Michael Forster Rothbart at the Vermont Center for Photography yesterday. Now, after roughly 36 hours of shooting, audio and photo editing, and compiling the final presentation, our piece is nearly complete; I am just waiting on final approval from my colleagues to show it to the world. Once all are happy with the final edit, which I completed at roughly 12:30AM last night, I will share the link to the video on my blog and website. 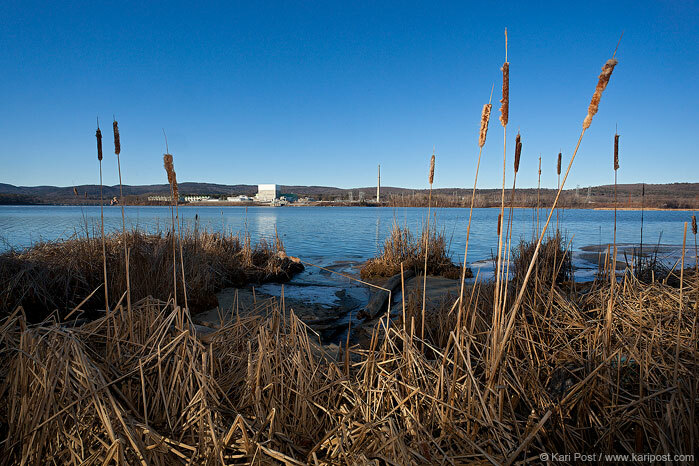 Posted in Environment, Photography, Political and tagged environmental photojournalism, Michael Forster Rothbart, nuclear power plant, nuclear reactor, photojournalism, Vermont, Vermont Center for Photography, Vermont Yankee, Vernon, Vernon Vermont on February 27, 2012 February 27, 2012 by Kari.